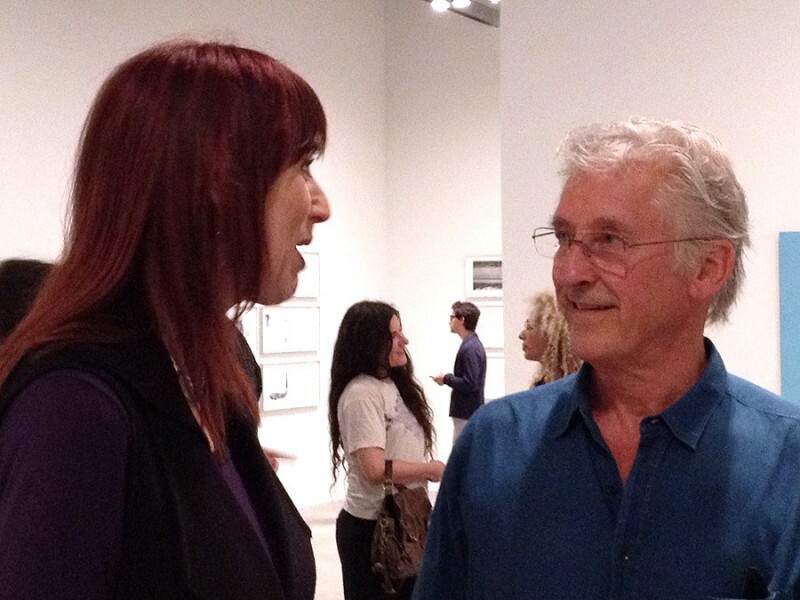 Virginia Miller discussing the gallery’s current show, “IMPACT: Emotions of Color” with Ed Ruscha, whose exhibition based on Jack Kerouac’s “On The Road” opened at the Museum of Contemporary Art in North Miami on May 24th. Like the artists in “IMPACT,” Ruscha is associated with the Los Angeles art scene. Organized by the Hammer Museum of Los Angeles, the Ruscha exhibition also was shown at the Denver Art Museum. The show includes Ruscha’s illustrated edition of the book, along with six large paintings and ten drawings that feature quotations from its text. Supplementing the travelling exhibit are two series of photographs from his books, “Thirtyfour Parking Lots in Los Angeles” (1967) and “Twentysix Gasoline Stations,” (1963). A review of “IMPACT: Emotions of Color” at ArtSpace/Virginia Miller Galleries will appear in the July-August edition of ArtPulse magazine.